When we delve deep into the history books, we discover that recycling has been going on since ages. Whether melting scrap metals like aluminum or bronze for making utensils or weapons, they have been reused for military and industrial use. As technology for waste management and processing makes rapid strides every year, we have seen a slew of online scrap dealers in India coming forth. However, a bit of skeptic as we all are, let’s find out what benefits entail us in selling our waste online. Internet scrap buyers in India are available at your doorstep according to your whims and suitability. Summon them whenever you have time. They’ll just pick up your waste, pay the amount and depart quickly. You can choose a service available at your nearest location without wandering to remote locations in the city. The online competitive scrap business market ensures an array of deals best suited for you. Some scrap dealers in India specifically treat your metal junk according to its characteristics instead of luster. As a result, you can get high worth for all your junk. When you want to sell scrap online, you will find scrap buyers’ websites having verified online listings. Their transactions ascertain transparency and are digitally certified by ISO. The product you discard can be recycled efficiently, thus preserving natural resources and preventing pollution. With high expertise and latest technologies, the reused products are hazard free. 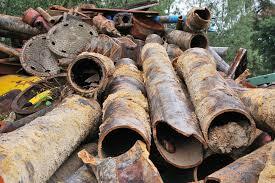 The reputable scrap buyers in India make the process of selling scrap online very smooth. Ensuring the procedure incredibly passive and hassle-free, you can do your regular business without worrying about the waste. So, instead of throwing stuff nonchalantly, why not earn a few bucks at the tip of your fingertips. Look out treasures in your attic, bathroom and old electrical appliances. One man’s trash may be another man’s gold.